KIRK A.J. King Edward VIII. 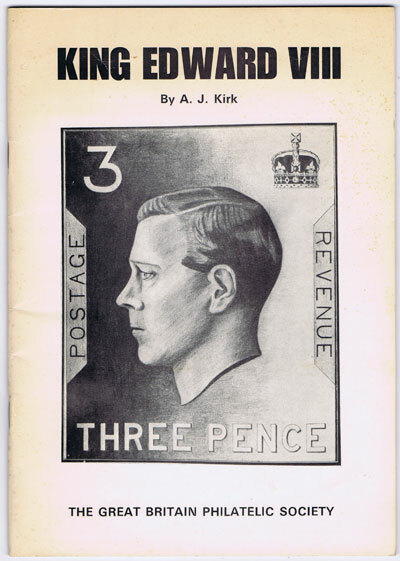 - A study of the stamps of the reign of King Edward VIII. iv + 31pp. 2nd ed., slightly toned in card covers.